This rug does it all! It provides the extra security you need to keep your hardwood, laminate, or carpet safe from those inevitable sparks near your fireplace. (Minuteman product fire-resistance does meet federal codes.) It also coordinates nicely with numerous color schemes-the neutral beige tone is accented by a narrow stripe of dark brown. And it offers warmth for your feet or for your pet and can work anywhere in the house! You'll love the semi-circle styling, soft 100% virgin wool, and luxuriant color. 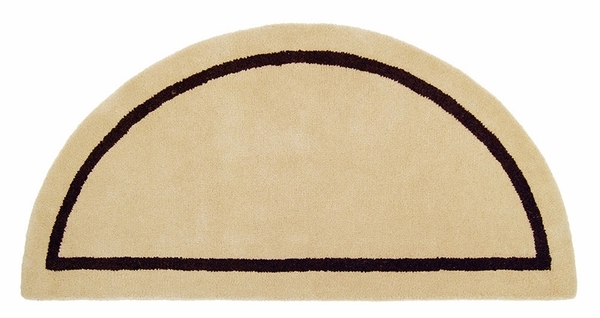 Let this hearth rug give your home an extra touch of sleek, contemporary design!